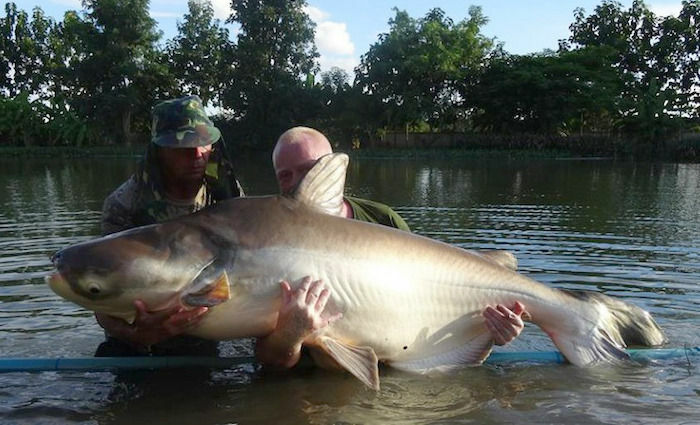 At the moment all of the Giant Mekong Catfish in the lake are large fish. When they were put in the lake there was a number of them around 40 kg, others around 65 kg, and 81 kg was the largest fish. I have got others on order at the moment (October 2013). The ones on order are around the 25 to 30 kg mark and should add nicely to the head of Mekongs in the lake.